Veterinary science, in conjunction with industry, has done a great job developing vaccines that are very safe and effective preventive measures. Vaccines keep your dog protected from serious infectious diseases. Diseases that, just a few years ago, were epidemics are now less common. It's not just a matter of more vaccines but also better vaccines that are more specific, provide longer protection, and allow your veterinarian to make recommendations appropriate for your pet. Not all dogs need to be vaccinated for all diseases all the time. There are two general groupings of vaccinations: those that target “core” diseases and those that target “non-core” diseases. Core vaccinations prevent diseases that are extremely widespread in their distribution and are easily transmitted. These diseases are commonly fatal or extremely difficult to treat effectively. One core disease—rabies, can be transmitted to humans with potentially deadly results. In summary, core diseases are the more contagious and severe diseases. Historically, these vaccines were recommended yearly but this is no longer the case. Duration of immunity from these vaccines has been proven to be at least 3 years. Rabies vaccines are sometimes administered more often based on state and provincial regulations. While not all vaccines carry a label that indicates they are effective for 3 years, current recommendations for core vaccines are that after the completion of an initial series, dogs should be revaccinated every 3 years. These vaccines generally provide a shorter length of protective immunity, and dogs that are at risk for infection should be vaccinated every year. ​How can you determine your dog’s risk of infection? Lyme disease is no longer limited to the Northeastern United States. It is transmitted by deer ticks associated with white tail deer. The populations of deer are expanding and with them the incidence of exposure. While exposure and infection do not always result in disease, dogs considered at risk should be vaccinated and tested annually. Vaccination against leptospirosis should be considered for dogs who are exposed to wildlife environments like ponds, or when urban and rural wildlife share the environment with your dog. Vaccination against canine cough includes bordetella and parainfluenza vaccines. These diseases are respiratory infections and as such are transmitted from dog to dog. Boarding facilities, dog shows, dog classes, and parks where dogs play are all potential risks. Dogs exposed to these environments should be vaccinated yearly. Canine influenza is a relatively recently described disease and a relatively new vaccine. It should be administered yearly for dogs considered by your veterinarian to be at risk. All dogs should be examined by a veterinarian at least yearly and a complete history and risk assessment should be performed. This will assure that your dog remains healthy and is appropriately vaccinated. The goal of vaccinating your adult cat is to prevent as many diseases as possible. What vaccines are even available for your adult cat? According to the American Association of Feline Practitioners (AAFP), the core vaccines (those that are recommended for ALL cats) are feline panleukopenia virus (FPV), feline herpesvirus-1 (FHV-1), and feline calicivirus (FCV) as well as Rabies. There are a number of non-core feline vaccines available, but most are not widely recommended. The non-core vaccines that are most often recommended include feline leukemia virus (FeLV), and in some cases feline immunodeficiency virus (FIV)1. How do you know which non-core vaccines are appropriate for your cat? Vaccines recommended may vary; your cat’s age and general health need to be considered. You need to talk to your veterinarian. He knows you and your cat. 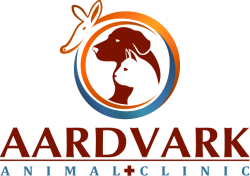 That makes your veterinarian the best source of individualized advice on this subject. The two of you will need to determine the likelihood of your cat being exposed to the non-core illness listed above and weigh those risks against any side effects associated with the vaccines themselves. Your discussion should include a number of topics, but probably the most important is whether your cat is truly an “indoor cat” or spends any time out of doors, where other cats are a concern. Whatever vaccinations you decide on with your veterinarian, re-vaccination is needed from time to time to keep your cat’s immunity high. Different vaccines (even different versions of one type of vaccine) require different re-vaccination/booster schedules. Your cat’s health and lifestyle will change over time. That means that at every annual exam appointment with your veterinarian, you should revisit your cat’s risk assessment and tailor ongoing vaccination recommendations accordingly. This will assure you that your cat remains appropriately vaccinated throughout life. This list should not scare you away from vaccines, but I encourage you to discuss these risks with your veterinarian.